"I'd say Harris's first two books in the Hannibal Lecter series set the gold standard for psychopath serial killer characters in fiction." 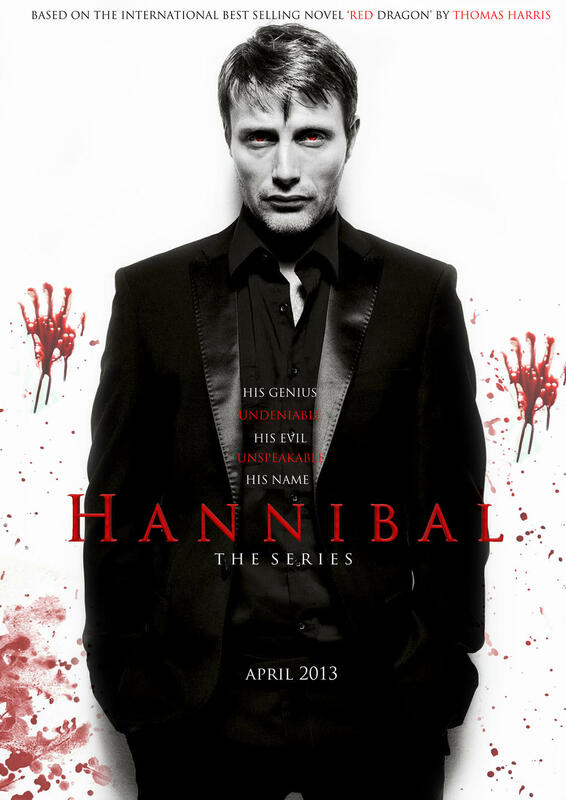 So with the third series of Hannibal due to premiere today, I felt the urge to write a little about it since I've been enjoying this interpretation of Thomas Harris's classic characters. I've done my best to avoid spoilers for those who haven't seen this. (Some of my vague references should be enough for those who have.) Hopefully I've walked the fine line between the two well enough for everybody to enjoy this. Anybody who knows me will know that I recommend Red Dragon and The Silence of the Lambs to anyone who'll listen to me. I enjoyed Red Dragon so much that I began researching how Thomas Harris put the book together. I didn't need to do this, I just wanted to know more about it. It's like that when a book really gets under your skin. You know? I discovered that Harris had put a phenomenal amount of research into the book. Interviewing killers and the FBI's new Behavioural Sciences Unit (now known as the Behavioural Research and Instruction Unit.) So you knew from the outset that Harris was basing his work on the absolute cutting edge of knowledge when it came to serial killers and psychopaths. (I heard that the term serial killer was actually coined by the BSU.) As a result, I'd say Harris's first two books in the Hannibal Lecter series set the gold standard for psychopath serial killer characters in fiction. From these two masterpieces we were given three amazing characters in Will Graham, Clarice Starling and the now legendary Hannibal Lecter. With great books and great characters come movies and television series. We all know that Anthony Hopkins was praised for bringing the cold and calculated genius to the big screen, so it was always going to be a tough act to follow. For this reason I was naturally sceptical, as I'm sure many others were, about whether the choice of actor would be good enough for the television series Hannibal. 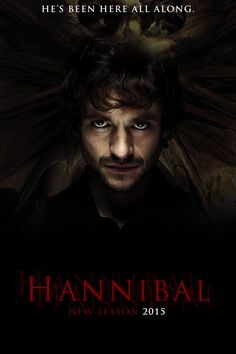 When you're basing the show in the period before the books Red Dragon and Silence of the Lambs take place, you know that having an active-serial-killing Dr Lecter requires... nay, demands, that you get the performance needed from the actor playing Hannibal. I was pleasantly rewarded by Mads Mikkelsen (above) who demonstrated a flawless understanding of combining the cold and callous nature of the character with his ability to blend and explain away his slightly odd behaviours and views. When I first began watching, I was pleased with the innovative approach that the writers and directors had taken with Will's profiling ability. Playing scenes in his mind of his attempts to empathise with the killers he was hunting worked very well. Particularly when they began to demonstrate his struggle with psychosis later in the first series through similar scenes from his PoV. The chemistry between Hugh Dancy (below), playing Will Graham, and Mikkelsen was gripping. Exactly what was needed for a suspense-filled crime thriller series. This hugely satisfying first season was followed with a second in 2014. "By freeing themselves from the canon, we genuinely have no idea where this could go and I find that quite exciting." Again it was heavy on the suspense with more excellent performances by the lead actors. A fresh storyline arc for the series was explored and made me think that there's no way this could tie in with actual canon of the books. However, it was intriguing enough to see the unique direction they chose to take... so I'm not too bothered by the divergent track they've chosen. Particularly with the season 2 finale bloodbath! From my point of view it was unexpected and almost a little forced. However, with the third season starting, I'm still looking forward to seeing where they choose to take things. By freeing themselves from the canon, we genuinely have no idea where this could go and I find that quite exciting. Though in all honesty, I think we all expect the series to go on until Lecter is finally apprehended. Both seasons felt like they had upped the gore-factor for shock value a little which might put some people off. Purists will definitely not like the way this prequel series couldn't possibly be reconciled with either the films or the books. Those who dislike high body-counts and bizarre mutilations on the grounds of cliché should steer clear. (Personally I believe you can't watch crime without suspending disbelief to a certain degree when the topic is serial killers. They are exceptionally rare, so meeting a new one every week is complete nonsense in reality. Frankly, when you're watching this sort of thing, you've always had to work with the writers a little.) However, if you are none of the above, and enjoyed the books and/or movies then I'd heartily recommend this series to you. After all, the scenes involving the kitchen preparation of Dr Lecter's dinner parties are divine and should appeal to the foodie in you... unless you're quite squeamish about eating long pig. Don't want to miss a new release? Sign up for Philip's mailing list! You'll be notified of new releases, special pre-order discounts and free giveaways! Your contact information will never be shared with any third party. © 2014 PhilipMordue.com - All rights reserved.